While we make every effort to ensure that we accurately represent all the products and services reviewed on this website and their potential for income, it should be noted that earnings and income statements made by VideoRetargeter.com and its advertisers / sponsors are estimates only of what we think you can possibly earn. There is no guarantee that you will make these levels of income and you accept the risk that the earnings and income statements differ by individual. The use of our information, products and services should be based on your own due diligence and you agree that VideoRetargeter.com and the advertisers / sponsors of this website are not liable for any success or failure of your business that is directly or indirectly related to the purchase and use of our information, products and services reviewed or advertised on this website. 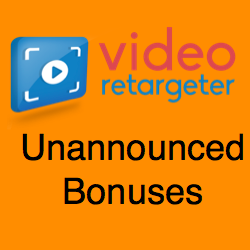 VideoRetargeter.com is a participant in the Amazon Services LLC Associates Program, an affiliate advertising program designed to provide a means for sites to earn advertising fees by advertising and linking to (amazon.com or myhabit.com). 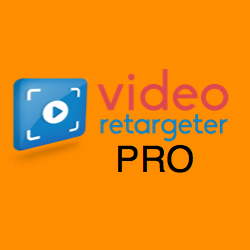 Please note that some of the links on this website are affiliate links, and at no additional cost to you, VideoRetargeter.com will earn a commission if you decide to make a purchase after clicking through the link. Please understand that I have experienced all of these companies, and I recommend them because they are helpful and useful, not because of the small commissions I make if you decide to buy something through my links. Please do not spend any money on these products unless you feel you need them or that they will help you achieve your goals.